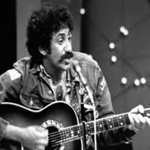 Learn how to play the songs by Jim Croce note-for-note on guitar with The Jim Croce Guitar Lessons. Each lesson includes the playthru, video lesson, songsheet with chords and tab. All the chords, strumming and picking patterns exactly as Jim played them. Note that the lessons cover Jim’s part, not Maury’s lead part. They’re intended for the solo singer guitarist. Please do “Hey Tomorrow “. Already requested. Number 422 on the list.